Sometimes I wonder if my efforts to stay on top of new video game releases are time well spent on my part. Not only do I work a full time job, while trying to maintain a decent output of music, game analysis videos and occasional writing, but I also own so many video games already that I would love to play again. Hell, just last month I played Final Fantasy VII for the bazillionth time to prepare for my 20-year video retrospective of it, and I had the time of my life. On the other hand, we live in a fantastic time for games. Almost every year adds a new video game to the list of my all-time favorites. Downwell, Undertale, DOOM, Yakuza 0, just to give a few examples, are games I absolutely adore, and I would never have heard of most of them if I didn't follow game releases closely and forced myself to play most of the ones that seem interesting. I write about games because I love thinking about them about as much, if not more, than I love playing them. This year has been especially good for that. Take Night In the Woods, Hollow Knight, and the recently released Cuphead. These games have something in common, other than each having a gorgeous, unique visual style. Each one also inspired a very specific thought in me as I played them. Night In the Woods made me think about alienation, about the impossibility of being comfortable where you grew up once you move away, about how we can maintain our relationships with family and childhood friends as we mature - and how sometimes, we just shouldn't. 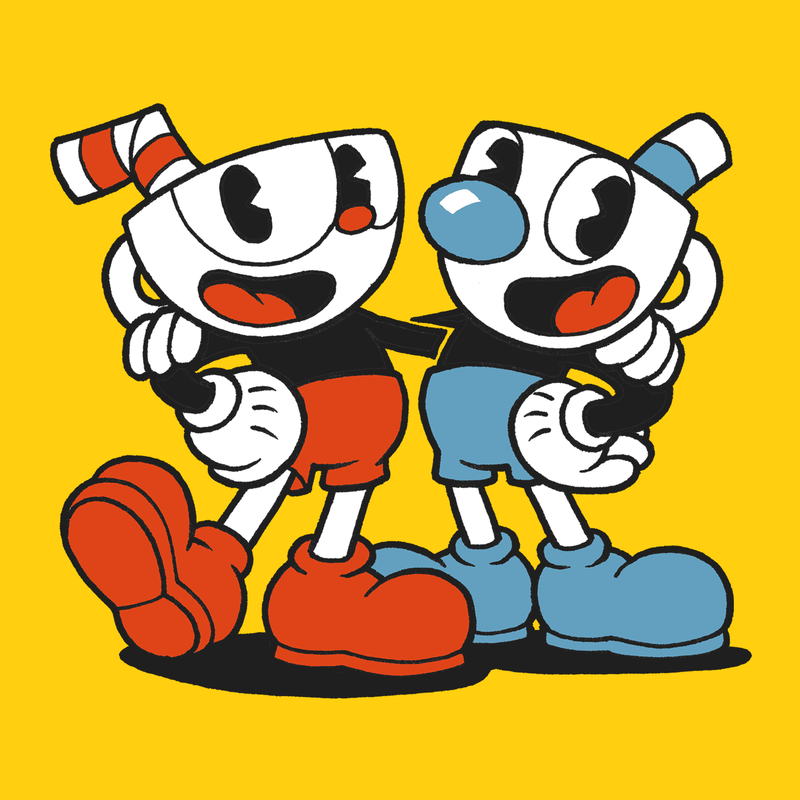 Cuphead put a far simpler, for less pretentious thought in my head. Cuphead simply constantly had me thinking: why am I doing this? And I do mean that literally. Why was I playing this game? Now, I realize Cuphead is the latest instrument for a certain sad group of losers to mock and belittle others in the service of building up their own fragile male ego, and so, obviously any criticism of Cuphead - no matter its content - will be dismissed as being made on the basis of not being good at the game. 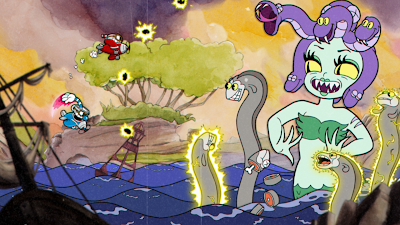 I will, however, say for the record that I did not find Cuphead needlessly difficult. Mind you, I'm not saying it's easy - I think it provides a well-balanced and healthy challenge for people who like hectic action games. 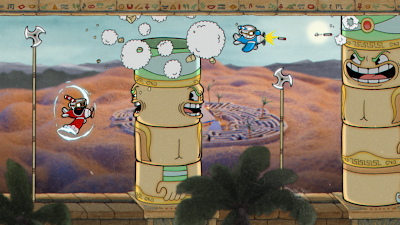 Difficulty isn't why I disliked Cuphead. I disliked it because it's just SO. DAMN. BORING. It's also why I haven't touched it after finishing the first island, and never will. In fact, all the images in this post are from the game's press kit, because I cannot stand to devote a single minute more to the game than I already have by playing it and writing this post. Once you ignore Cuphead's frankly stupid plot, its premise is quite simple: you access levels from a world map, each one either a platforming level where you fight a set of normal enemies, or a boss level, which consists solely of the boss itself. If there are more types of levels, I do not know, nor do I care to. Platforming levels are simple affairs, and you can probably get through them without too much difficulty. The real challenge of these levels is to collect coins, which are sometimes hard to reach, and which are required to buy upgrades in the overworld store. Collecting the harder-to-reach coins often relies on a game mechanic called "parrying", which is really nothing of the kind. Parrying, a-la Cuphead, is when you press a button when your character is about to collide, mid-jump, with a pink object - any pink object will do - at which point your character will perform a mid-air jump. Why this maneuver exists, I cannot tell you. It probably helps to build up your special attack meter - I can't remember and will not bother to check - but it's a trivial move to carry out in the platforming levels, and in the boss levels, where it's usually more challenging, just seems unnecessary. Why would I risk getting hit for such a minor advantage? It makes more sense to avoid the shot and keep firing at the boss. I can hardly understand the inclusion of this mechanic, and I struggle to justify its name except as an excuse to invite comparisons to Dark Souls - as if the internet needs those. 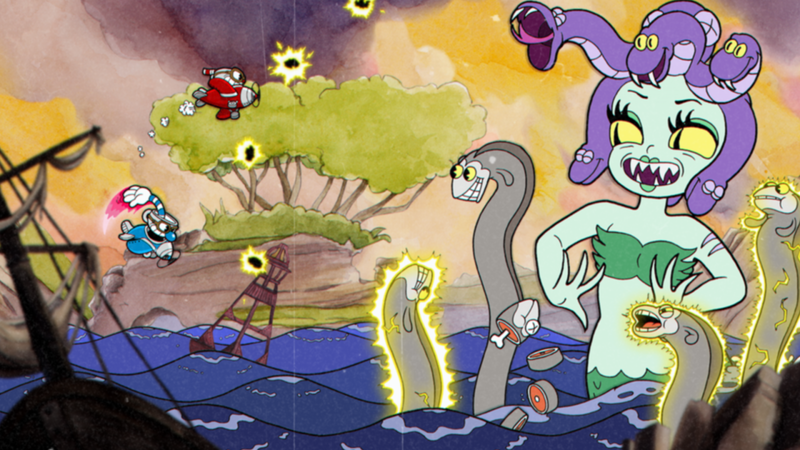 If we've already gotten into it, the bosses are where it's at in Cuphead, to the extent that anything is there at all. But something about the boss fights is just... off. They start and end with such little fanfare that there's no feeling of dread when a fight starts, nor is there a feeling of achievement when they fall. They feel as paper-thin as the material they were masterfully drawn on. 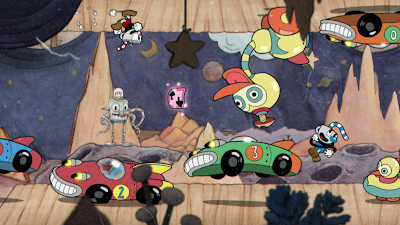 Cuphead's poor audio-visual feedback in general makes everything lack impact. Shooting in the game makes really a lame sound, meant to be zany, for sure, but which serves as a poor method of making the game feel fun. It also feels unnecessary because, for the most part, shooting is just holding down a button. It rarely requires any skill, any aiming whatsoever, so I found myself mostly just keeping the button pressed and concentrating more on dodging incoming attacks. How do you make a run and gun game where using your gun feels so... meh? And how, indeed, do you make a game that looks like Cuphead so boring? Because, I have to stress, the art style in the game is amazing, truly beautiful to behold. 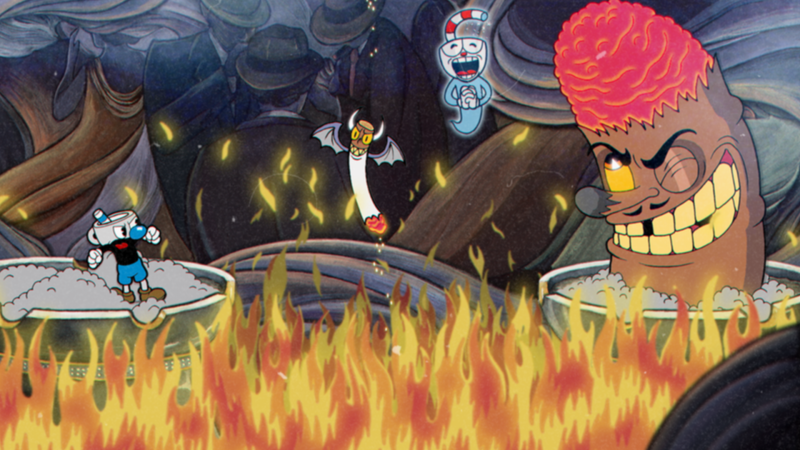 But Cuphead is a stark reminder that visuals alone are not enough. Games need to feel tactile. Mechanics need to feel like they have weight. Combat needs to feel like something is at stake. And none of this is anywhere to be found in Cuphead. So, for all the drama opportunist shitlords have already created, Cuphead is really not worth all the attention. It's a mediocre affair with really good graphics. And if you want those, just watch a cartoon. 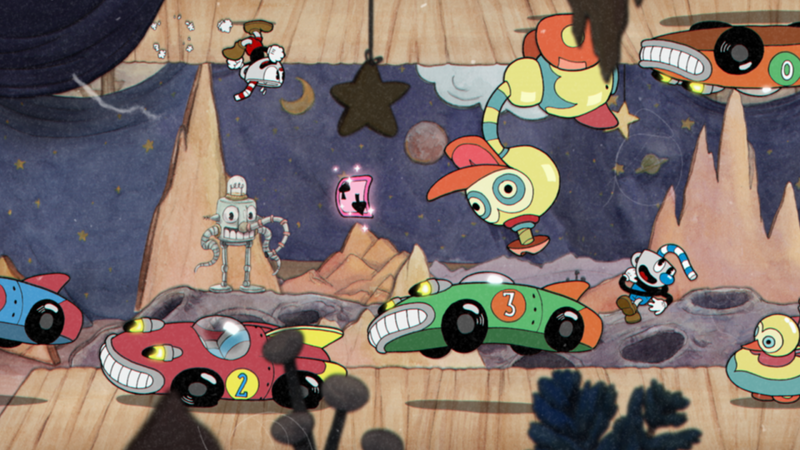 For my part, I'm not going to score Cuphead, even though this is practically a review, because to justify a score I would need to spend more time with it, which I simply have no intention of ever doing.